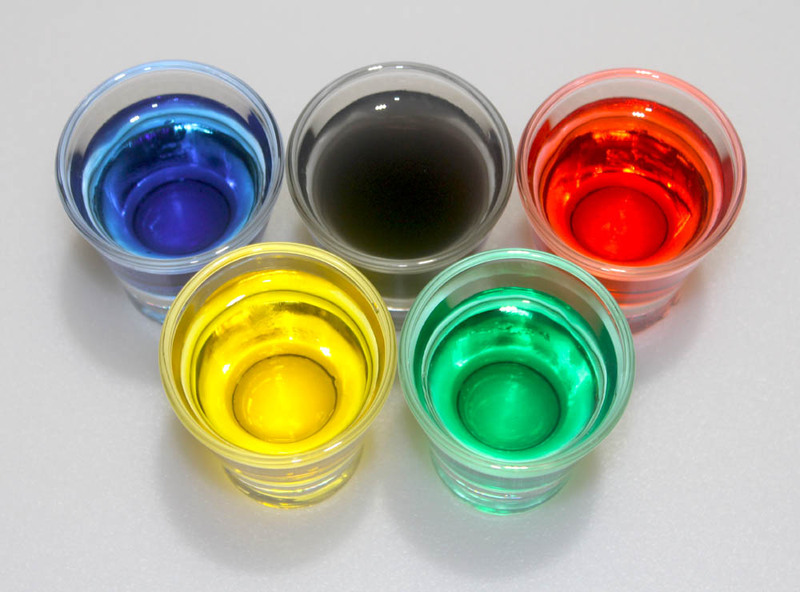 Produce the colors of the Olympic rings in this easy chemistry color change demonstration. The colors of the Olympic Rings represent the colors of the flags of all the countries that participated in the 1912 Olympic Games. The Olympic Rings are blue, black, red, yellow, and green on a white background. You can perform a chemistry demonstration in which you fill empty glasses, arranged like the Olympic Rings, with “water”. Once the clear liquid is added to the glasses, the colors of the Olympic Rings will appear. Arrange the glasses to form the order of the Olympic Rings. Try to use as small a volume as possible to dissolve the solids so the glasses will appear empty. Pour the ferric ammonium sulfate into the glasses and watch the colors develop! You can prepare a patriotic color demonstration for your country’s flag. For example, in the US, you’d use the chemicals to make red, white and blue. If you live in Brazil, prepare the chemicals to make green, yellow and blue. ← Has a Ring Ever Turned Your Finger Green?